I grew up in the days of the old Bell System. It was a monolithic monopoly that was completely non-customer focused. It was an extraordinarily efficient company, but customer satisfaction simply didn’t equate into the goals of the company. Today, Comcast fills that role of having truly terrible service. 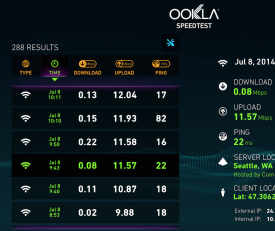 You see, my 50 megabit Internet has been speed-testing at about 0.2 megabits most mornings and evenings. My neighbors and even people across town are experiencing the same thing. I just want to get it fixed. I realize it is really not a problem with my line because our entire community is experiencing this. I’m told that most of Seattle and Western Washington is having problems similar to this, often. But you have to start somewhere, so I agree to have the rep come out. My appointment time of 4PM to 5PM today came and went without a call or apology. at 6PM I received a phone call from a Comcast robo-caller that the appointment had been rescheduled to between 2PM and 4Pm tomorrow. That wasn’t convenient, so I entered a new date for the appointment and received an automated “I am sorry but no appointment times are available on that day” message. So I pressed “2” to speak to an agent and was transferred to a recorded message that told me that all circuits were busy at the moment. Really, how bad must service get in this de-regulated era? Comcast blatantly ignores appointments, and they make it difficult to reschedule. 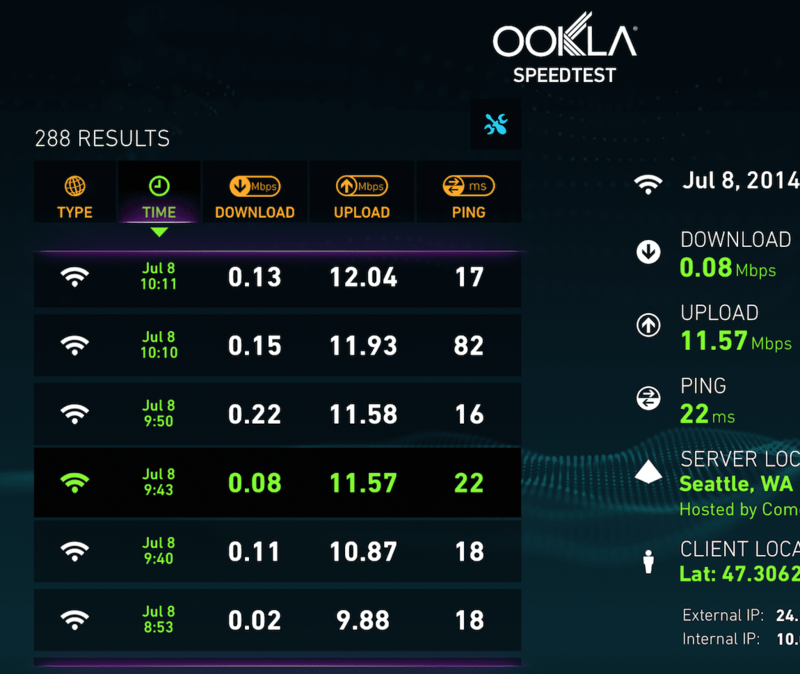 At the root is the fact that much of Seattle and Western Washington is getting speeds like 0.2 megabits a second when they are promised 50 megabits. Oh, and not, a credit for a service outage will not be forthcoming since my Internet service is technically “working.” What Comcast middle-manage thought that customers were that stupid and unimportant? The Bell System was terribly inflexible and unresponsive to its customers. But when it came to service it was amazingly good. Dialtone would be forthcoming within 3 seconds 99.9% of the time. Your call would go through 99% of the time. When those metrics were at risk a massive and swift maintenance machine would kick into place and no expense would be spared. The Bell System’s idea of service was that your phone worked, but not that the business office would be flexible. It’s times like this that I long for the days of regulated monopolies. Those monopolies may not be fun to work with, but at least they provide some service.